Photograph taken at a Grand Canyon Wedding. Officiating were Ministers Melinda DeBoer and Rich Ayrey (on right) of Flagstaff, Arizona. Melinda and/or Rich are available for your wedding anywhere in the world, in any setting. 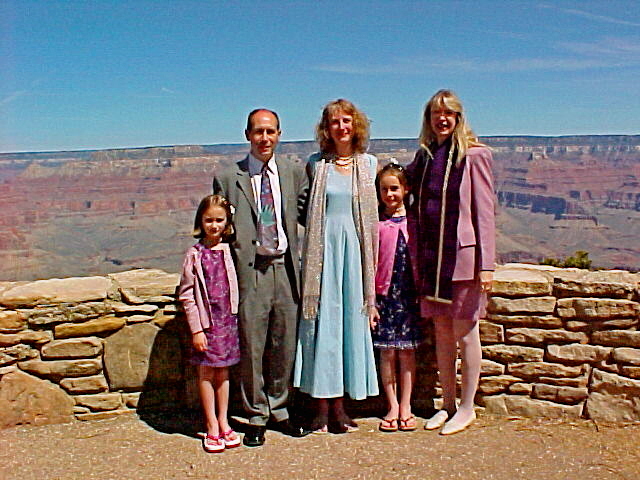 Most of the weddings we have done have been at the Grand Canyon, Arizona. We will go anywhere to help you with your destination wedding or your theme wedding, on that Special Day. Melinda and Rich"s Grand Canyon Wedding. Misti and Gabe"s Grand Canyon Wedding. 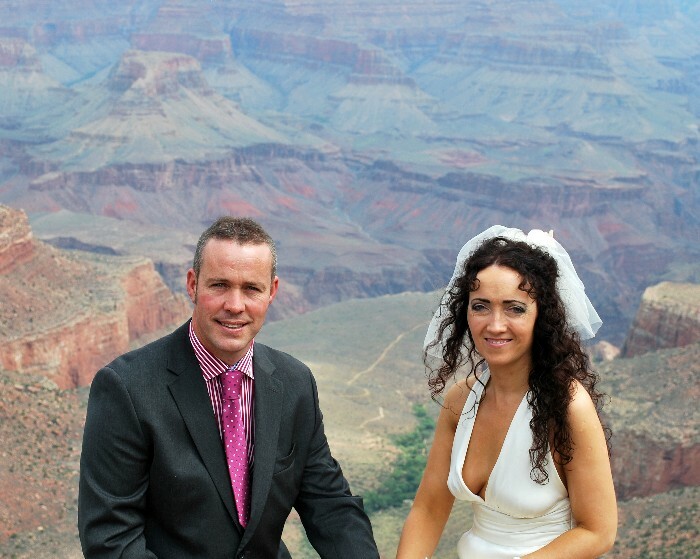 Grand Canyon Wedding of Bridget & David from Ireland. Alicia and Brad"s Grand Canyon Wedding. 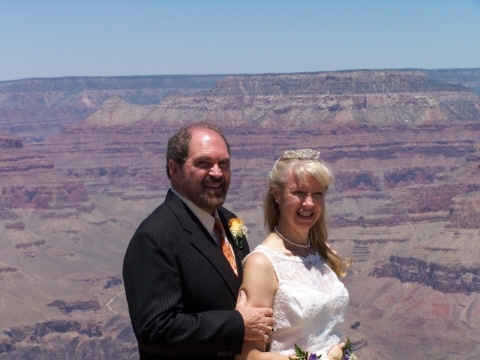 Jacquie and Clive's (from Bath,England) Grand Canyon Wedding. Use your creativity. Your Grand Canyon Wedding service can be customized to meet YOUR needs. Various Grand Canyon wedding ceremony styles available. For FREE help planning your Grand Canyon Wedding, email us at minister@yourgrandcanyonwedding.com. For your grand canyon wedding costs, click here. and other exciting wedding places. Click here for Grand Canyon Wedding Links. If you haven't already, visit our ministry page. Thank you for visiting our Grand Canyon Wedding pages, Please tell your friends about Grand Canyon Weddings. Grand Canyon Weddings page created by Rich Ayrey. ©Copyright 1999-2012 Grand Canyon Weddings.